Skoda has definitely figured out the best balance when it comes to setting up the suspension for Indian conditions. Barring the Laura vRS, all Skoda models possess a fine balance between ride and handling and the Rapid is no different. Ride quality is a bit on the firm side but never gets intrusive unless you are traveling over real crater like potholes. The sorted damping means handling is taken care of as well and high speed endeavors are a piece of cake. The steering is well weighted and gives reasonable amount of feel even at high speeds and it’s a real joy throwing it around the corners. Thanks to modern creature comforts, good ride and a powerful diesel engine, Skoda has surely put forth a competitive package. It still has the old cars robust build and material quality is really good too. So in a way it should be just right for most buyers even if it might not exceed expectations of some. 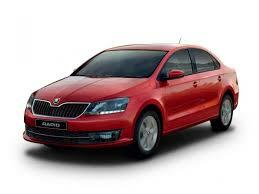 Skoda is also revamping its after-sales service and now has well thought offers for buyers. The Rapid is being offered with a four-year warranty, road-side assist and maintenance package, all-inclusive in the ex-showroom Delhi prices that start at Rs 9.49 lakh. So the competitive pricing with added benefits does make the updated Rapid a more lucrative buy.